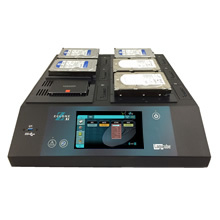 The ZClone™Xi, delivers blazing fast hard drive duplication at 24GB/min* with an easy to use and intuitive interface. 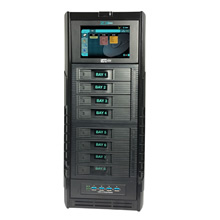 This industrial-strength hard drive cloner provides IT professionals with a solution that efficiently performs hard drive duplicating tasks including PC deployments, O/S upgrades, content/application distribution and data back-up tasks. 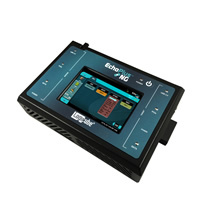 Built-in support for SATA, USB 3.0 and optional support for SAS drives. To see pricing for this product and associated options/accessories add to cart. Hard Drive DuplicationSupports 3.5″/2.5″ SATA hard drives,3.5″/2.5″ SAS (optional), USB enclosures and thumb drives with three dedicated USB 3.0 ports. Optional adapters are available for 1.8/2.5/3.5″ IDE and IDE ZIF drives, eSATA, microSATA, mSATA and flash media. For information on which adapters suit your needs refer to our ZXi adapter guide. Laptop Cloning Version Customers can purchase a version of the ZXi (F-ZXI-LAPTOP) that is shipped with a factory-installed feature that provides support for cloning of 6 laptops (Windows or Mac x86 based) or 6 tablets ( Windows x86 based) and 6 hard drives simultaneously without removing hard drives from the laptops. Tablets require a docking station enabled with an Ethernet port. Clone USB Enclosures and Thumb Drives 3 USB 3.0 ports are available. USB 2.0 Host Ports The unit features two USB 2.0 ports for connecting a keyboard and mouse to the ZXi. Mirror CopySimple bit by bit copy. Supports all O/S including Linux and MAC. SAS hard drive support software option. Provides the ability to clone SAS hard drives. 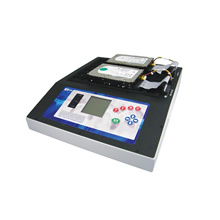 Used for cloning various flash media, including compact flash, SD cards. Plugs directly into USB 3.0 ports on ZXi. To clone compact flash media cards, using the ZXi drive stations, users can purchase an off-the-shelf CF to SATA adapter. Contact our technical support team for the specific model adapter that has been tested and recommended for use with ZXi. microSATA to SATA adapter. Clone microSATA type hard drives. 18″ cable for eSATA hard drives, Clone eSATA type hard drives.